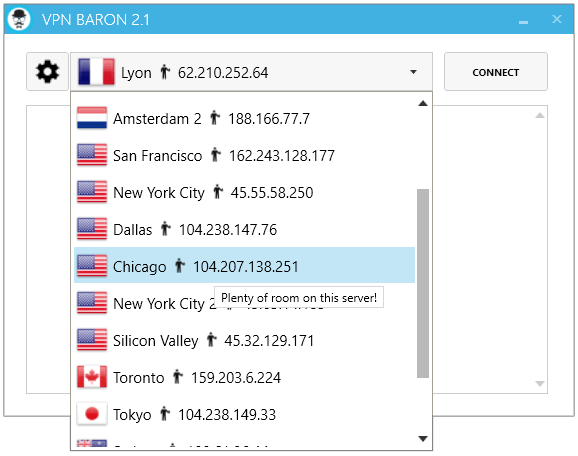 Enforcing your right to privacy(that being their motto) and dodging any nasty data retention laws(due to being in Romania) comes forth VPNBaron. VPNBaron uses OpenVPN protocol, one of the most secure and hard to crack protocols at the time being, with BF-CBC 128 bit key, TLSv1/SSLv3 DHE-RSA-AES256-SHA, 1024 bit RSA. They use Google DNS for keeping you safe against any attacks,and regularly check for DNS leaks so you can sleep at night.Another nice feature they present is the Internet kill switch,which halts all traffic when the network goes down.Tracking users’ activity is made more difficult by using cloud servers,which can be created and destroyed in a matter of seconds.All P2P traffic is allowed,they keep no logs,only simultaneous user connections are monitored to avoid infinite simultaneous connections from one user but this does not link the user to a particular server.And even if the the authorities have a court order and request information,they don’t have any useful information to offer,only confirmation if the account is active on their network. The Baron gives us 4 bling-bling options with which we can accessorize our privacy,Silver-1 month for$7.99,Gold- 3 months for 6.99per month,Platinum-6 months for $6.66per month and Diamond-1 year for $6.33 per month.The services are the same in each package excepting the number of devices to which you can connect simultaneously( Gold-2 devices,Platinum-3 devices,Diamond-4 devices).And since diamonds are not only a girl’s best friend, we recommend the Diamond plan,since it’s the cheapest on the long run and has the most simultaneous connections. The Website is very user friendly and the information is mapped so it’s easy to understand for any non-tech aficionado. They. They offer fast email and live chat support to all your queries and problems, and if you feel the need to further inform yourself, you can make good use of their forum. 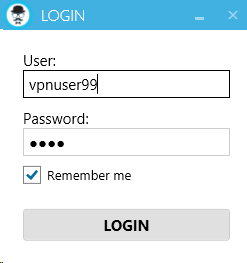 I have been using PureVPN for about 3 years now and have found their service to be great. The monthly subscription plans are nominal and they have no connectivity or bandwidth issues so far.